Wilderness Dry Fly Fishing At It's Best! "Wild Trout, Never Caught Before!" Northern Lights Lodge is a unique BC fly fishing lodge offering unforgettable guided fly fishing on four pristine wilderness rivers in the Cariboo Mountains. Here, you will catch wild native Rainbow Trout that have likely never been caught before. This is fly fishing in it's purest form! At Northern Lights Lodge, Likely, BC, Canada. The wilderness eco-system around us is unique. 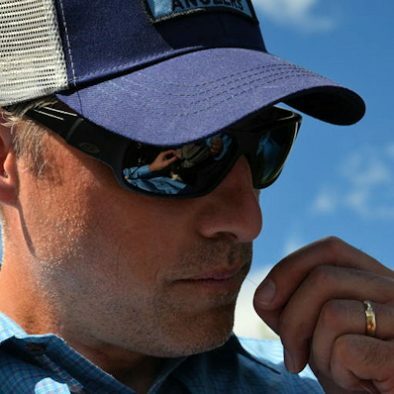 That's because it's comprised of world-class Blue Ribbon fly fishing rivers renowned for some of the largest, most aggressive, wild native Rainbow and Bull Trout on the planet! Furthermore, it is unlikely you will see another fisher on these waters with the exception of your fellow guests from Northern Lights Lodge. Get ready for the best of guided fly fishing in BC, Canada. Because your fly fishing adventure at Northern Lights Lodge will take you deep into the wilderness of BC's Cariboo Mountains. In addition to heart pounding dry fly fishing, you'll experience nature in a way that few ever experience it. You'll fish alongside grizzlies and eagles, while surrounded by breathtaking scenery. Unforgettable fishing is only half the adventure! 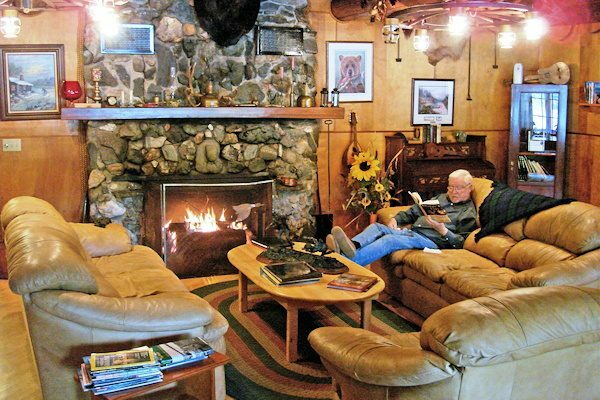 Northern Lights Lodge has been a BC fishing tradition for more than 60 years. We combine the heritage and hospitality of an old time wilderness fishing lodge with modern conveniences and the comforts of home. So, come be our guest. You will enjoy a warm welcome and home cooked meals. Oh, and did we mention big aggressive trout? 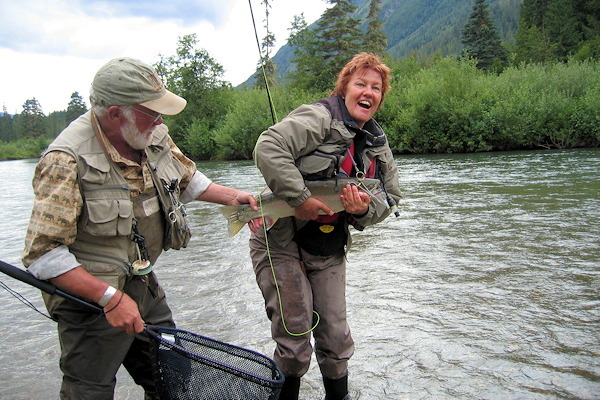 Our fly fishing adventure packages include airport pickup and guided fishing on up to four BC wilderness rivers. Plus, lodging, meals and fine wine & beer. We also offer stillwater fly fishing and rivers/stillwater combo packages. SINGLE BOOKINGS AVAILABLE AT NO EXTRA CHARGE. And, we can also customize a trip to suit your schedule. 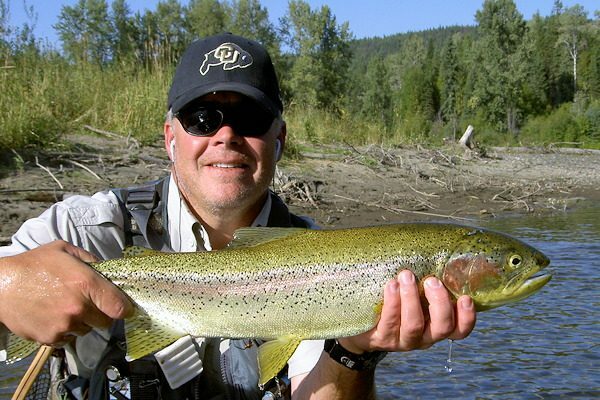 Kick off the season with 5 days of guided stillwater fly fishing for wild Rainbows. Pontoon or Drift Boat. We'll use Chironomid and Caddis patterns, then later overlap with Damselfly and Callibaetis Mayfly patterns. Our combo package of guided river & stillwater fishing exposes you to remarkable dry fly action. The rivers typically host caddis and stoneflies. Aggressive 15 to 24" wild native trout explode on your dry fly pattern! Our professional guides focus on four magnificent rivers that produce some of the finest dry fly fishing on the planet. Catch a unique strain of large, aggressive wild native Rainbow Trout and some very large, hard fighting Bull Trout. 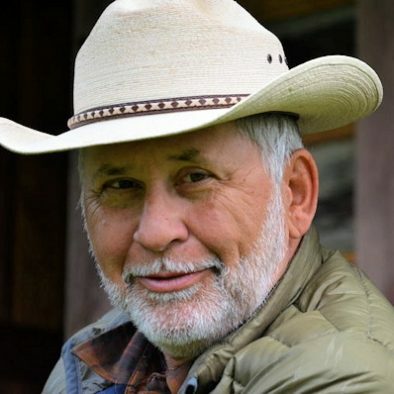 Fly Fusion TV and Scientific Anglers teamed up to produce six short films based on their popular television series. In this episode, co-hosts Jim McLennan and Derek Bird join Skeed from Northern Lights Lodge as they explore the Quesnel River, one of the four vastly different rivers we fly fish. As the Quesnel River leaves the lake it's a slow and meandering trout 'stream'. After a few miles, the river transforms into a powerful and erosive force moving quickly through the sparsely inhabited region, affording exciting fly fishing along the way. 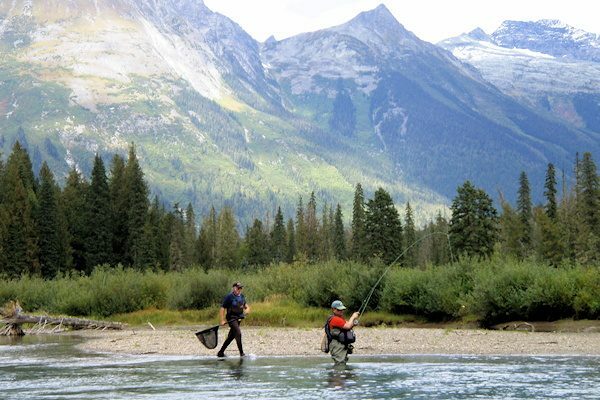 Experience guided fly fishing in BC, Canada. This is dry fly river fishing at its best! We begin in mid June with an exceptional Golden Stonefly & Caddis hatch. Then, we dry fly fish throughout the summer to early October matching numerous hatches that nourish these wild rainbow trout. Join us at Northern Lights Lodge in British Columbia, Canada, for exciting dry fly fishing on up to four different rivers. These rivers are so diverse and beautiful you will think you are in a different part of the world each time! And, as remote as we are, we are easy to get to. Fly from most North American cities in the morning & find yourself enjoying hors d'oeuvres and cocktails in the same afternoon... right here in the Canadian wilderness. Our professional guides will introduce you to spectacular dry fly fishing. 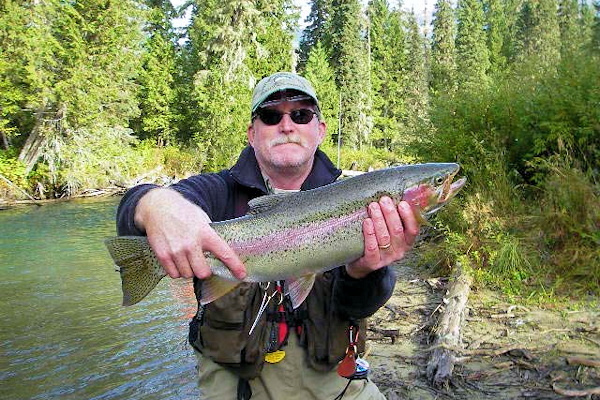 Or, in early fall, sight fish for trophy Rainbow & Bull Trout that are feeding on eggs released by spawning salmon. We'll employ egg patterns & streamers on the Mitchell River, Horsefly River, and Cariboo Rivers. 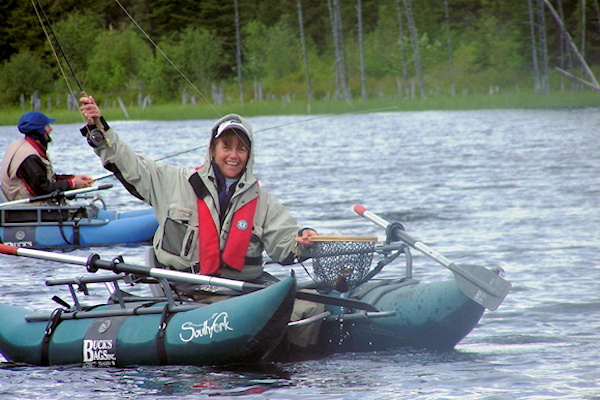 Your fly fishing adventure will excite you & challenge your skills. Together, we'll pursue these trophy Rainbow Trout in a pristine British Columbia wilderness setting that rates second to none. In addition to these fantastic Rainbow Trout, be prepared to get into your backing as our guides expose you to the challenge of landing a large Bull Trout feeding amongst the Salmon that are completing their amazing life cycle in the natural rivers of this highly protected ecosystem. This is all a part of what makes this such a unique BC fly fishing lodge. Come and join us for your next angling adventure. "one of the purest, natural trout habitats on the planet"
The Mitchell River, Horsefly River, Cariboo River, Quesnel River, and the surrounding waters, are home to a unique strain of large, aggressive wild native Rainbow Trout and hard fighting Bull Trout. This unique strain of Rainbow Trout do not spawn until they are seven to eight years old. That means they do not go through the stress of spawning during this period. In fact, they do nothing but grow, requiring them to become voracious feeders in order to survive in their completely natural environment. These Rainbows live to be 12 to 13 years old and have been described by Fishery Biologists as being a "landlocked Steelhead". The watershed in this area is one of the purest, natural trout habitats found anywhere on the planet. The Rainbow & Bull Trout are among the largest of their species in the world. The nutrients released by spawning Sockeye & King Salmon that enter this watershed every year attract schools of large trout following the salmon up the various tributaries. These spawning salmon also draw a variety of BC wildlife, such as Grizzly & Black Bears to tiny weasels & every native carnivore in between. While eagles are prevalent all year, guests visiting in September & October are awestruck by the dozens upon dozens of these magnificent birds observed daily feeding on the expired Salmon that have completed their incredible life cycle. Come join us at Northern Lights Lodge, in the beautiful Cariboo Mountains for the best of guided fly fishing in British Columbia!